Homefront developer Kaos Studios has been closed down by THQ while the studio formerly known as Juice Games is also reportedly on the chopping block. It was all the way back in January that staffers at New York-based Kaos Studios began sweating about a possible move to THQ's swanky new facility in Montreal. THQ Vice President Danny Bilson said a couple months later that success with Homefront could go a long way toward keeping the studio alive, claiming the publisher was "trying to do what's best for everyone." But in spite of the fact that the latter-day Red Dawn shooter that came out earlier this year sold more than one million copies in its first ten days of release, Kaos is officially no more. "THQ continues its strategy of aligning the best industry talent with the company's marquee franchises," the company said in a statement. "The Montreal studio will take over product development and overall creative management for the Homefront franchise. 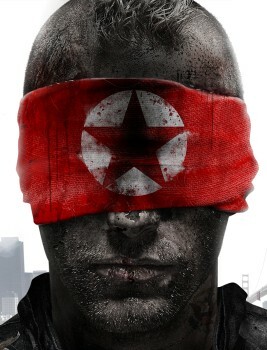 The Montreal studio actively collaborated with Kaos on Homefront." One million copies may not be much when compared to the runaway success of the Call of Duty franchise but as an unknown quantity from a mid-level publisher, it's nothing to sneeze at. While unquestionably flawed, it was successful enough to warrant a sequel; just not from Kaos, apparently. THQ added that it is "actively hiring" for its operations in Montreal, Vancouver and Austin, and that former Kaos employees will be offered a chance to interview for jobs in those studios. In other news, THQ has also issued notice to the 46 employees at Digital Warrington, the studio formerly known as Juice Games, that they too have fallen victim to the "strategic realignment." The developer's first full game since being rebranded, the XBLA/PSN arcade title Warhammer 40,000: Kill Team, was announced on June 2. When a studio can push over a million units less than two weeks after launch and end up shut down for its efforts, is it any wonder that most major-publisher releases these days are such derivative crapola? Best wishes for the future to everyone at Kaos and Digital Warrington.